This was where Canaletto lodged and tried to sell his paintings. 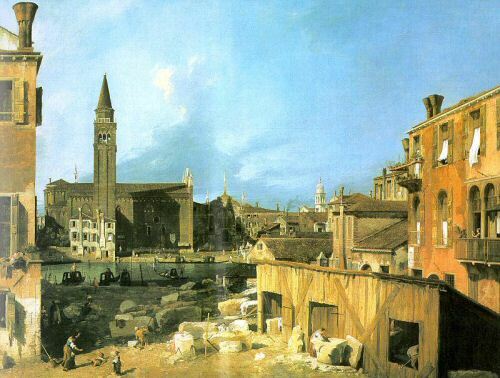 Description: The Venetian painter, Antonio Canaletto, lodged here from at least 1749 to 1751, his stay being interrupted by a journey to Italy in the winter of 17501. 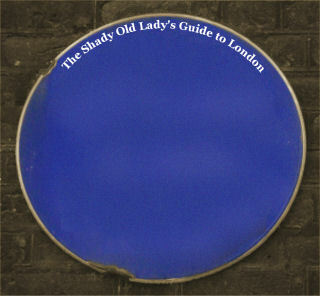 The ratebooks show that Wiggan's house was afterwards numbered 16 Silver Street and is now here at No.41 Beak Street. 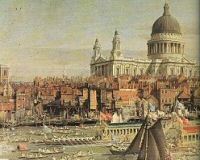 A similar newspaper advertisement of 30 July 1751 announced that Canaletto had 'painted the Representation of Chelsea College, Ranelagh House, and the River Thames', and that this picture might be seen at the same address. Until shortly before 1921 a studio or workshop with a skylight stood in the garden at the back of the house.